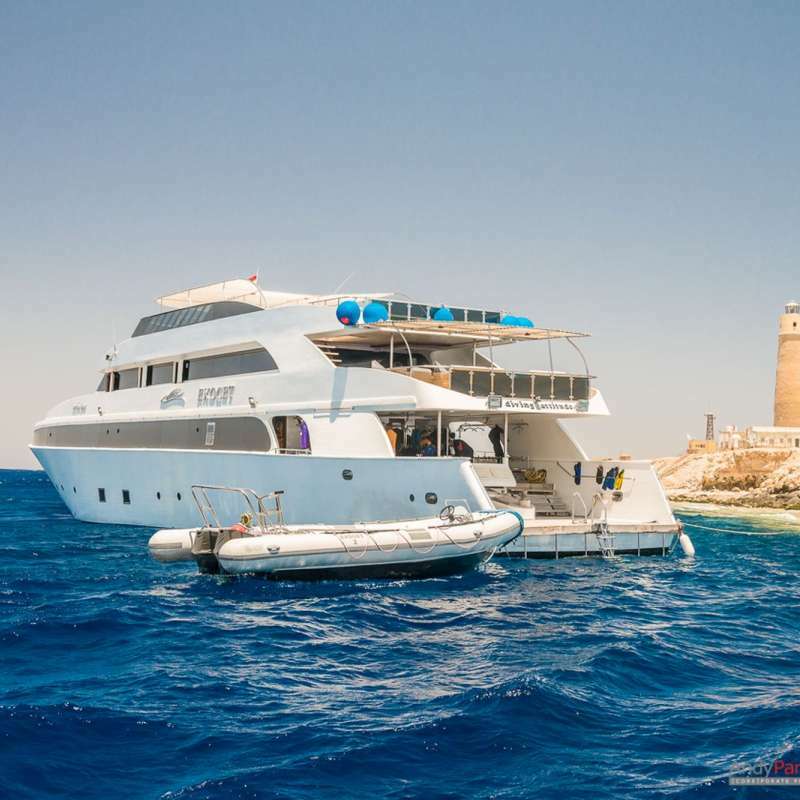 Exocet is positioned as a luxury live-aboard, among only few others of such quality cruising the red sea with French management. 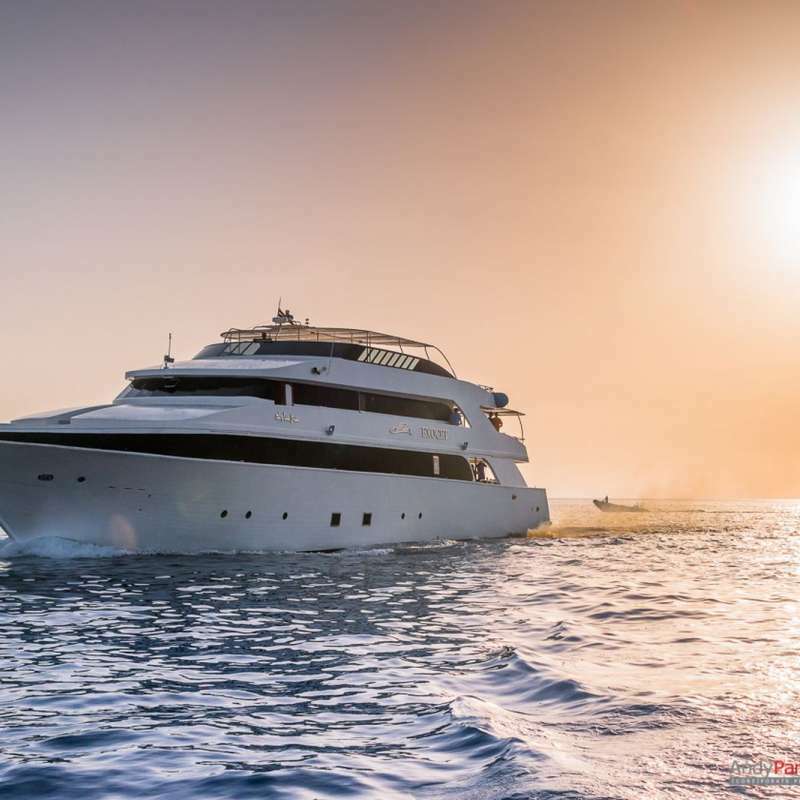 It is 40 meters in length and 8.5 meters in width, with 2 CAT V12 765 HP engines and all international high standard navigation system and safety system, it can cruises at 10 knots per hour. 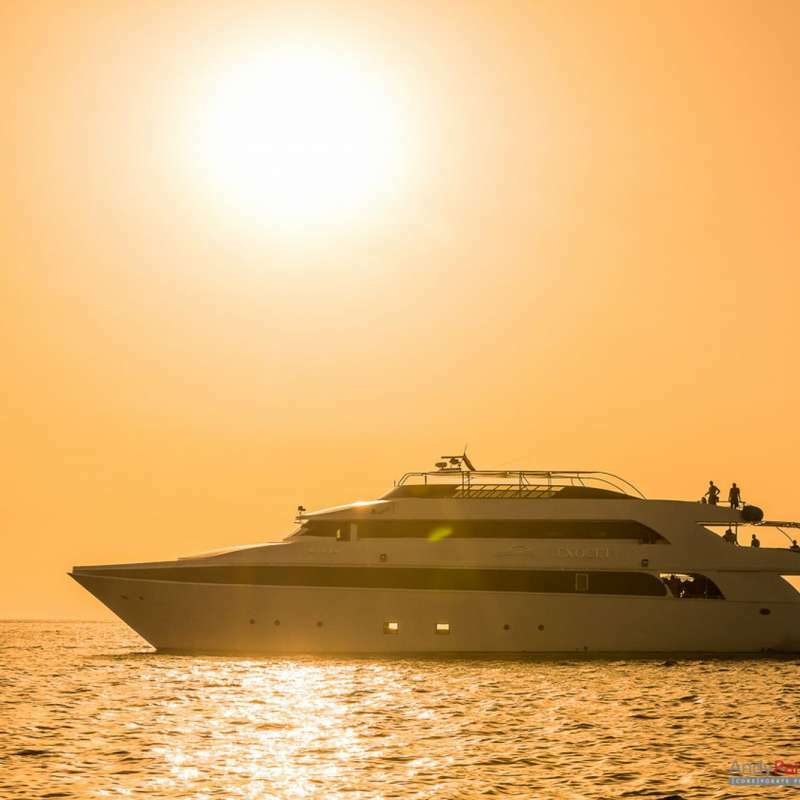 The top sundeck has beautiful layout with two sitting areas, sun bathing area, as well as a Jacuzzi for guests to relax in and spend their time between the dives. Exocet has a beautiful indoor lounge located on the upper deck with comfortable sofas, flat screen 50’ TV, sound system, Multimedia station with multicard reader for cameras and video cameras, USB port and CD burner, books/magazines/CD/DVD library for entertainment during the cruise. Outside of the indoor lounge, there is an outdoor lounge with elegant ambiences such as large comfortable sofa, a wet bar that can provide guests a fresh drinks during the evening. The dining lounge is located on the lower deck, there are plenty of rooms to these who like dinning in comfort and style. The chefs onboard will prepare three delicious meals with a mix of Egyptian, European/French, Asian dishes, vegetarian, vegan, gluten-free, food allergy options menus are available with at least 30 days prior notice. Tea, coffee, juice, soft drinks are included in your trip price, and there is a wide variety of alcoholic beverages available at an extra cost. 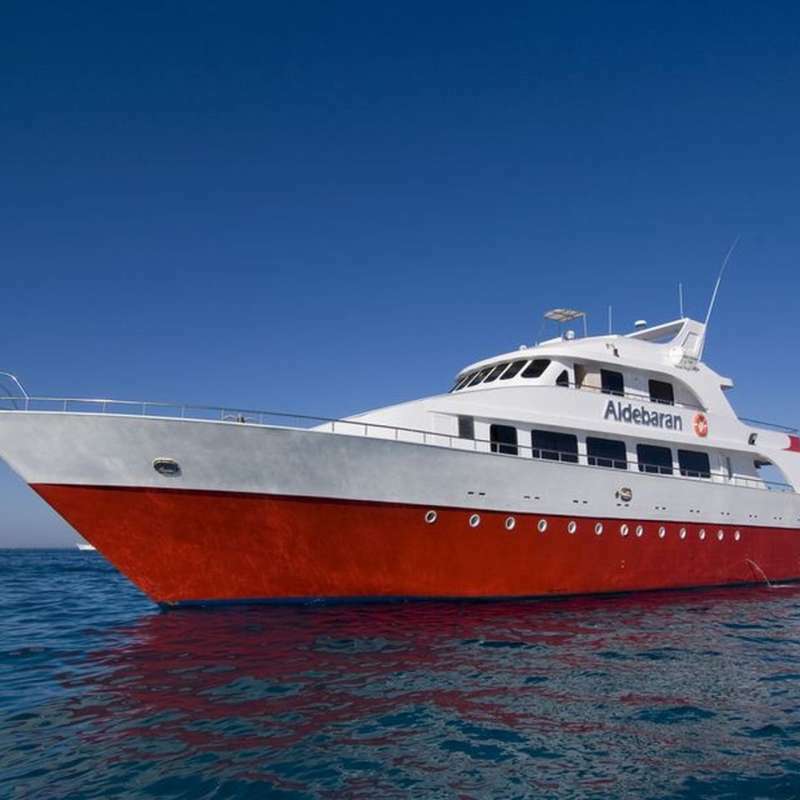 The diving deck is not only spacious but also very functional, well equipped with individual personal gear storages and an in-place fill station, large rinse tanks, wetsuit hangers, fins storage area, freshwater rinse areas, and dive deck bathroom. Exocet can offer both recreational diving and technical diving for divers. 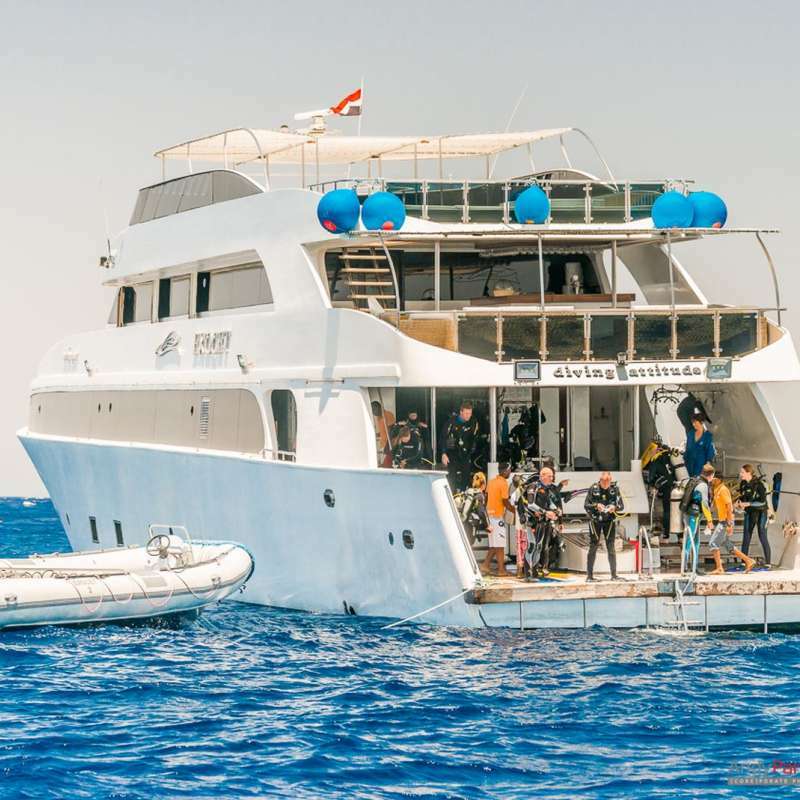 If you book ahead, the dive instructors onboard can even offer a wide range of technical diving training and services aboard. Before each dive, a thorough briefing will allow you and your buddy to dive autonomously. However, the dive guides are also there to guide you and share their knowledge of the site with you if you wish. 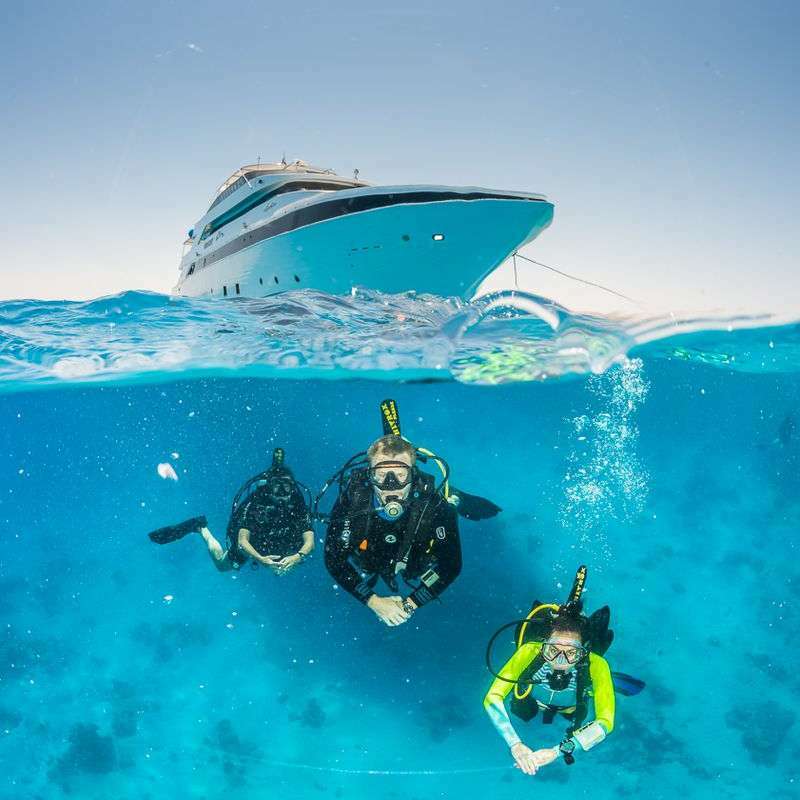 Guests can even hire a private dive guide to boost the safety and comfort zone along the week. All cabins have individual air conditioning, small fridge, private bathroom, storage area, outlets etc. 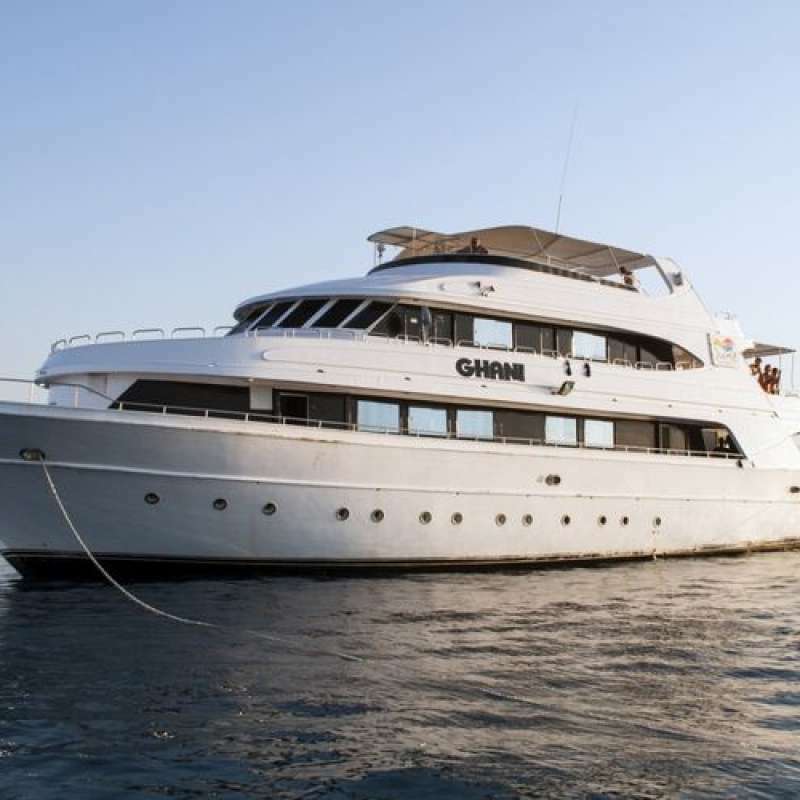 Located on the upper deck, each cabin comes with one queen size double bed, seaview windows. Located on the main deck, each cabin comes with one double bed and one single bed side by side, seaview windows. Locatd on the lower deck, this cabin comes with one small double bed, portholes. Solo diving only allowed with certification (SDI or PADI). Sidemount only allowed with certification and extra cost.